Greece is an absolute breathtaking destination. 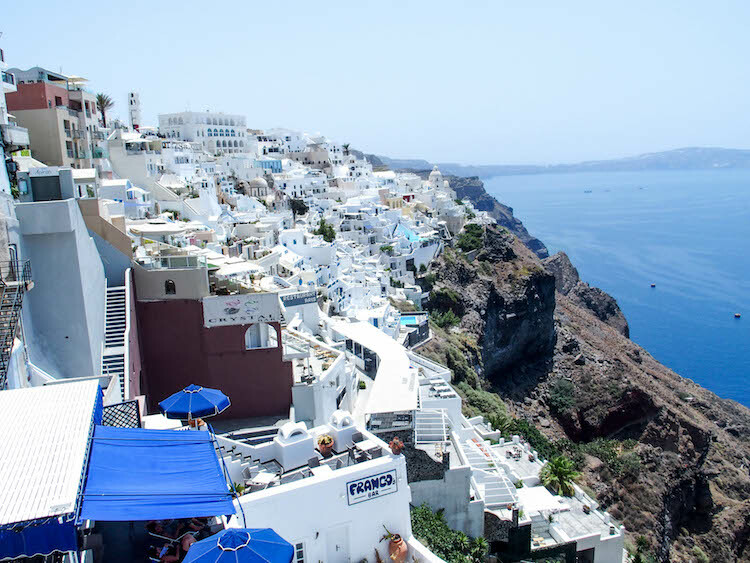 Imagine -- island hopping, beach day parties, off sea snorkeling, ATVing as your main source of travel, ANNNNND don't even get me started about Greek food! It's so much more amazing IRL and so soooo fun. From the beach day ragers to the most crackin nightlife that starts around at 12am-1am and clubs don't close until 6am!!!! After hours meant riding our ATV's up and down the steep hills to our Airbnb while watching the sunrise.. truly a remarkable moment #blessed. Seriously nothing beats that early morning sunrise and dreamy cotton candy sunset. The next day we hopped from beach to beach, and captured the perfect Oia sunset (even tho it was jam packed with tourists). One of the highlights of the Greece trip was getting the dead skin off our feet eaten in one of those fish spas. A fairly unusal but relaxing treat. If you're looking for activities, I highly recommend doing a wine tasting tour and learning about all about how they make their specialty white wines in Santorini. If you're more of a thrillseeking adventurer, book a ticket to go snorkeling + swimming in hot springs! Here's a closer look at all the food I ate and the reason I will be coming back to the states 15 lbs heavier...! Gelato + late night gyros got me good. I had such an amazing time in Greece and I seriously cannot wait for the next chance I can visit again! Traveling can be so life-changing! Can't wait for my next trip and where I'll get the itch to go next!